Neoteric music ensemble, Beats y Bateria, based in Chicago and formed by artists AfroQbano, Ana Munteanu and Daniel Crane, are set to perform this Saturday, April 13 as part of the Future Rootz Anniversary & Record Label Launch at Co-Prosperity Sphere where they will be sharing new music from their upcoming self-titled album. In addition, the group has announced that the official Record Release Party will be held at The Whistler on Wednesday, May 8. 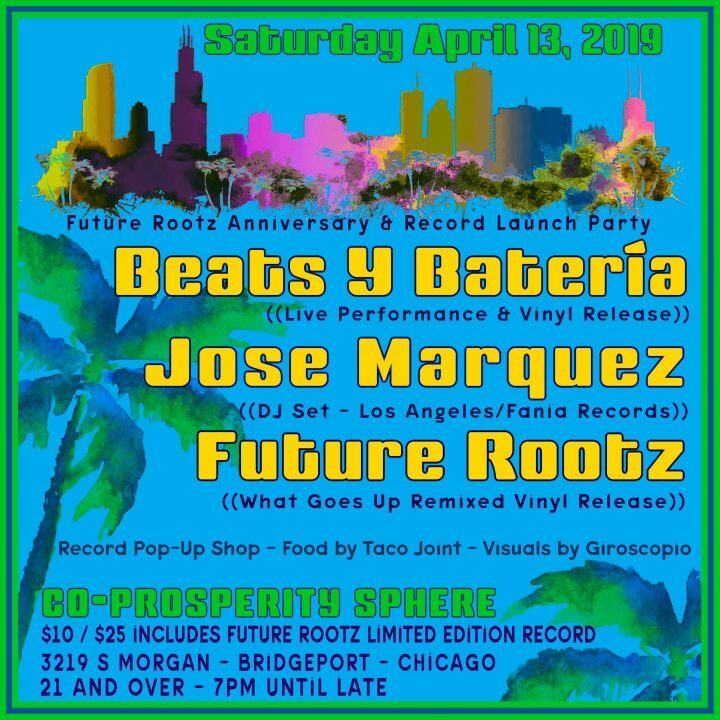 Beats y Bateria quickly immersed themselves in Chicago’s global sounds platforms with the debut of La bien pagá in late 2016. They followed it up a few months later with their next hit single, Baile. 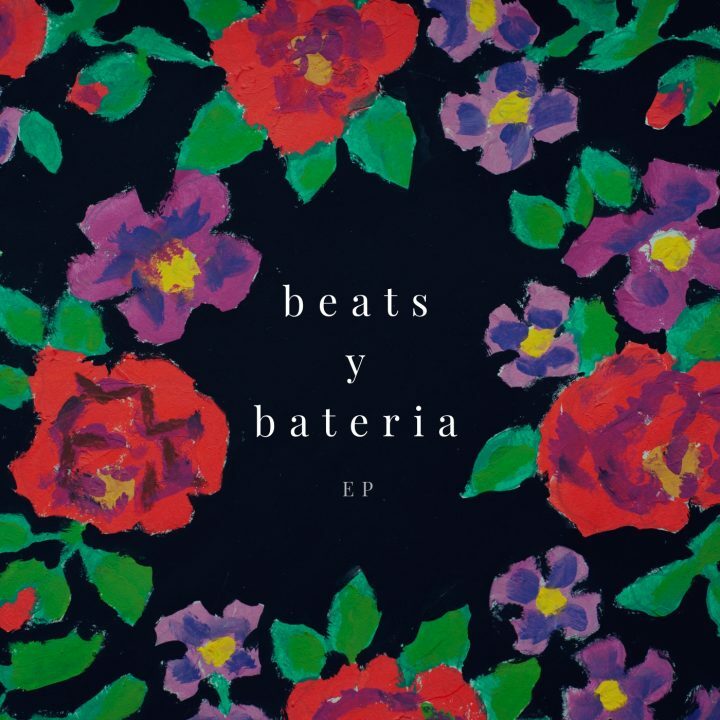 In between, the group has been busy performing, as well as writing and recording music, for the premiere of this new EP, Beats y Bateria. 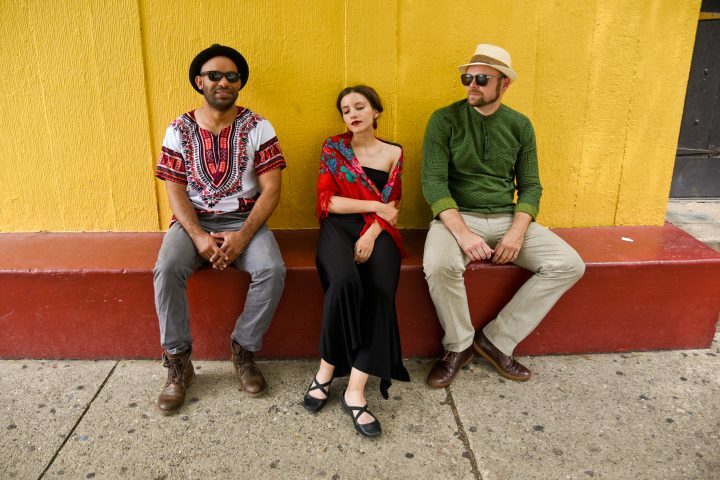 The new five-song album delves into a spectacular array of global sounds that highlight traditional elements of music from Romania, Cuba, Brazil and Latin America along with lively funk, electronica and dance. The use of congas and synths, or the cajon, drums, bass and keyboards, exemplify the artist’s broad range and expertise. Beats y Bateria’s intricate soundscape is then elevated into an even more extravagant amalgamation by Munteanu’s commanding poetic vocalizations. It’s a truly epic panoply of sounds. In Beats y Bateria, each of the five tracks has a particular and distinct sound. 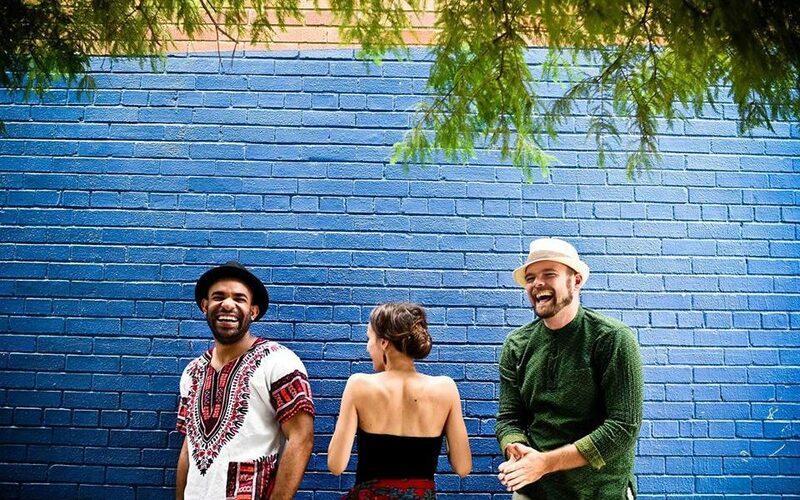 Saraiman, for example, is a dance-friendly electro-Balkan, with bits of drum-n-bass, interpretation of a traditional Romanian love song. The title, though not officially defined, refers to that feeling of being in love… like the love you’ll feel after listening to the entire album. In the song, Alturas, there is something so simple, yet equally sumptuous, in what feels like an alluring reverie of being. The sounds waltz gently along with Pablo Neruda’s words from his 1940 poem, Alturas de Macchu Picchu. The album features vocals in English, Portuguese and Romanian. Although Beats y Bateria is a trio, there is additional support on this album from musicians Robert Palos, Richard Patterson, Patrick Donley, Randel Villalonga and Armando Perez. The recording was mixed by Anthony Gravino and mastered by Matheiu Sauvenay. The cover artwork is by Galina Rosca. 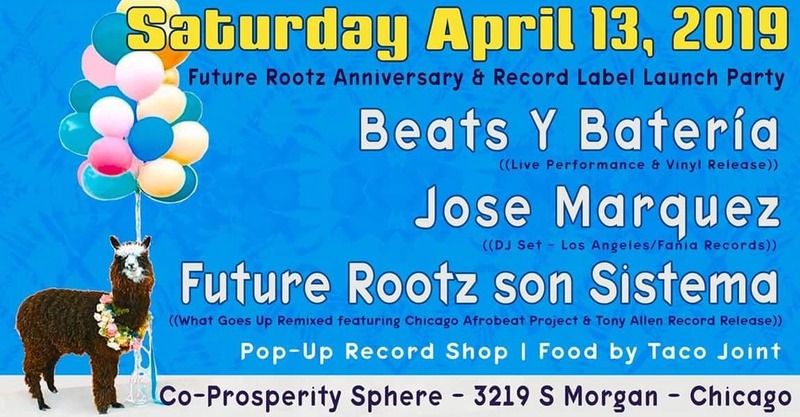 Beats y Bateria performs this Saturday, April 13, 7pm at Co-Prosperity Sphere (3219 S. Morgan) in celebration of the Future Rootz Records Launch. Event link here. They will also have an official Beats y Bateria Release Party on Wednesday, May 8 at The Whistler. Event link here.